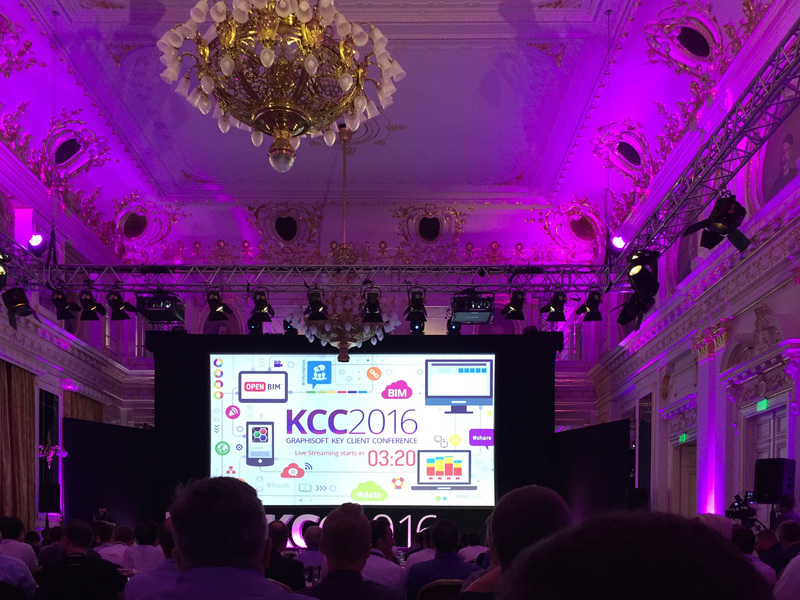 In June 2016, I had the pleasure of coming together with people from all over the world at the bi-annually Graphisoft Key Client Conference (KCC) in Budapest. This ‘invitee only’ event gave us all an opportunity to discuss every aspect of the software, its development and the industry in general. “Graphisoft’s ‘ARCHICAD’ is the leading Building Information Modeling (BIM) software application used by architects, designers and engineers”. This year, the conference was split across three days with registration at the luxurious Corinthia Hotel in the heart of Budapest, the main venue for the conference. All delegates received an exclusive gift bag – which we could compare with the gift packs given to Hollywood actors at the Oscars (only with a lot less designer sunglasses) – including a book published by the founder of Graphisoft, Gabor Bojar, detailing the ‘Graphisoft Story’, an ARCHICAD 20 Edition T-Shirt, branded pen and most importantly the programme for the conference. First on the agenda was the Welcome Reception and Dinner, a great start to a packed itinerary. Graphisoft were noticeably silent when it came to revealing the location of the actual KCC event, divulging only that all delegates were to meet at the Corinthia Lobby to await bus transfer. During my visit to Budapest, I was hoping to get the opportunity to visit the Hungarian Parliament Building and undertake other sightseeing opportunities, which, looking at the packed conference agenda, now seemed unlikely. 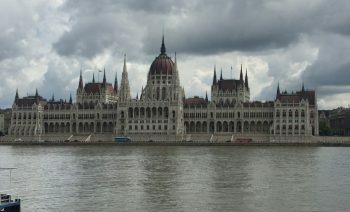 The buses arrived to transfer us all to the venue for the Welcome Reception and Dinner, and once everyone was had arrived, I was thrilled to hear that the venue was confirmed as the Hungarian Parliament Building! 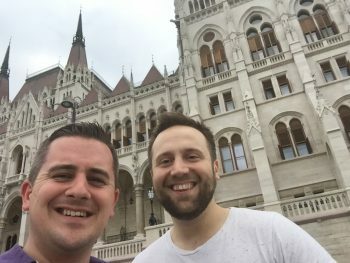 We were escorted through the secure entrance and ascended the 96 step Grand Stairway, taken through the Dome Hall to view the Crown Jewels and in to the delegate reception room overlooking the Danube for the Welcome Reception and Dinner, what a fantastic start to the conference. The main theme of the conference was the hot topic of BIM. Several speakers were invited from all over the world including David Philp of the UK BIM Task Group giving an insight in to current progress in the UK, a very interesting presentation. Other presenters included CEO Viktor Varkonyi, who also provided an update on Graphisoft’s current position in the market place, which showed an encouraging increase in their user base across the world, Patrick Macleamy from Buildingsmart US, giving a presentation illustrating the famous Macleamy curve which incidentally started a war of curves, and several other very informative presentations from users around the world demonstrating their use of BIM and ARCHICAD. 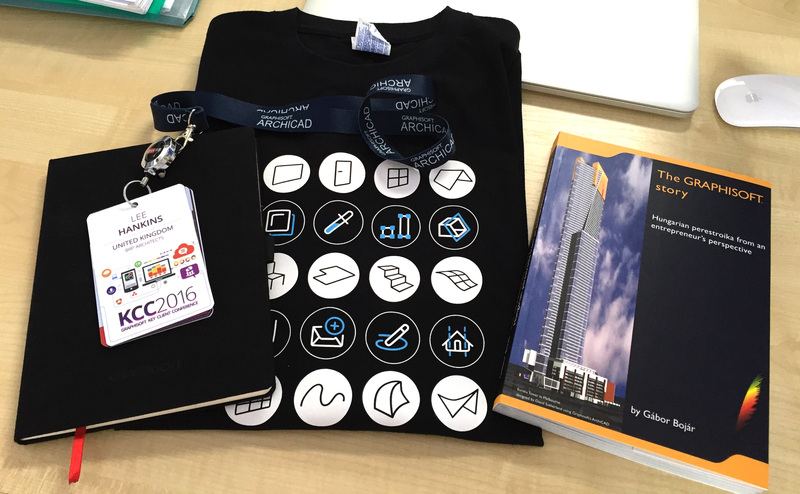 The main event of the first day was the live global premier of ARCHICAD 20 which was broadcast to thousands of people around the world. During the presentation, the main new features of ARCHICAD 20 were flawlessly demonstrated, live, in front of the conference delegates and the worldwide audience. 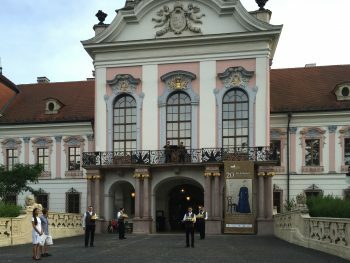 The final event for the first day was another fantastic dinner, this time, a formal sit down meal at Grassalkovich Royal Palace in Gödölló. We were greeted by a trumpet salute, champagne reception and a beautiful string quartet playing in the main courtyard. 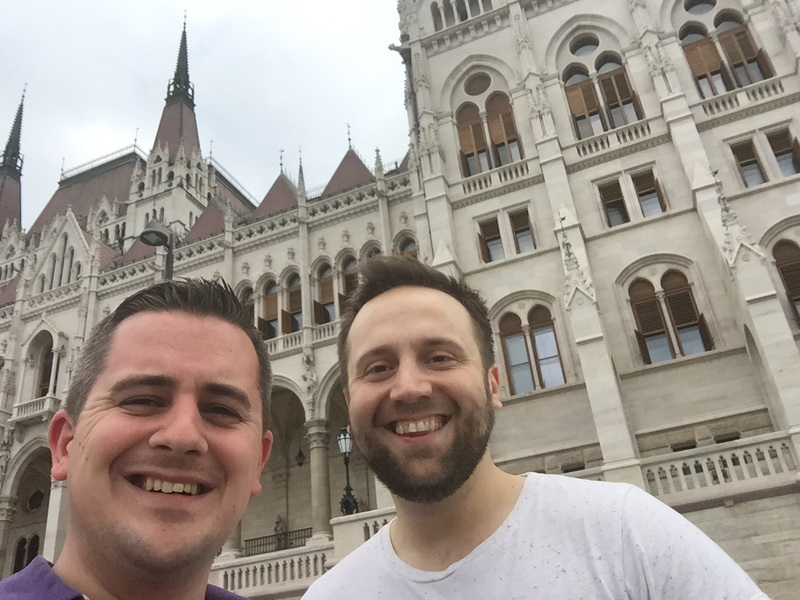 Following the devouring of many canapés we were taken on a guided tour of the palace learning about the history of the Hungarian Royal Family. We were further entertained with a ballet performance and further recitals by the string quartet during the sit down meal, a throughly enjoyable evening. During the final day of the conference we had the pleasure of an opening speech and presentation by the founder of Graphisoft Gabor Bojar followed by a series of presentations by Cottee Parker from Australia, Mauro Cattaneo of BIMFactory Italy, Carlos Jimenez of Liverpool (a famous retail chain outlet in Mexico) and Frederico Ramos of Aedas. All of the presentations were informative but the presentation by Cottee Parker really drew my attention where they presented their Queens Wharf scheme in Brisbane, Australia. An absolutely fantastic scheme designed in ARCHICAD. All presentations were excellent throughout the whole conference focusing on ARCHICAD user experiences from veteran users to those who had only recently adopted the software and the recent advances with the implementation of BIM in several different countries. Unfortunately, I had to leave the conference early on the Tuesday afternoon so missed the series of Breakout Seminars but luckily these have been made available as downloads so I haven’t missed out. All-in-all an excellent trip, both in terms of personal enjoyment, and the quality of the presentations and learning opportunities.